I’m a mother of three children and three dogs who lives in West Virginia. In this blog, I will talk about my journey to becoming a fitter mother, both physically and mentally. I hope by sharing my story, I can help others avoid some of the pitfalls I have and just give people some food for thought. Chocolate-covered-doughnut-type food for thought. Mmmmm, doughnuts. 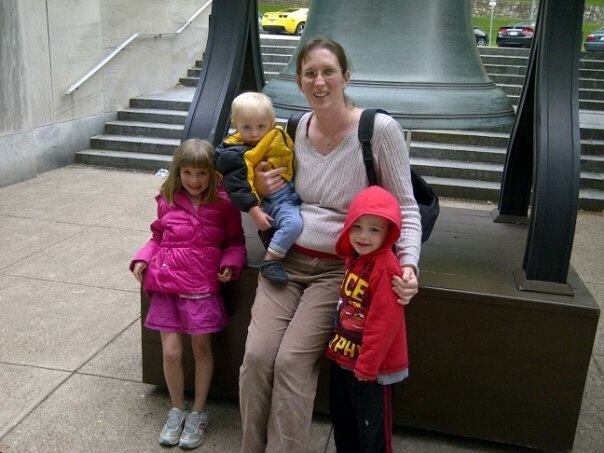 The Mountain Kids and I visit Pennsylvania a week before my first race as a mom. The race was held April 28, 2012. My journey started shortly after the death of my grandfather. I was overweight and overtired. As the mother of two young kids and a toddler, I also worked full-time during the evening. During a visit to the doctor, he stated the obvious, I was overweight and suggested a program. But the program wasn’t something I could afford. So I tried running and set my sights on a local race in April. And I continued running and was hit-or-miss in the healthy eating front. Since that race in 2012, I have completed several races, some big (2015 Marine Corps Marathon) and some small (you know where everyone who enters wins an age group award). I run on trails and the roads. In 2015, the push to do more than just exist became a pull. After years of saying, “If we could …” we just did. We moved and a few months later, I left a stressful job that I had for almost nine year. It was driving me to a place I didn’t want to go. Somewhere dark and scary. It was lifethreatening. So now, we’re starting over, building family bonds that haven’t existed, and doing stuff we never had the chance to do before. As to my background, I’m a writer and noticer. I am also a graduate of culinary school and proud member of Team RWB. I live in Appalachia by choice. The region is among the poorest in the nation. If I can move toward a healthier lifestyle, you can to. 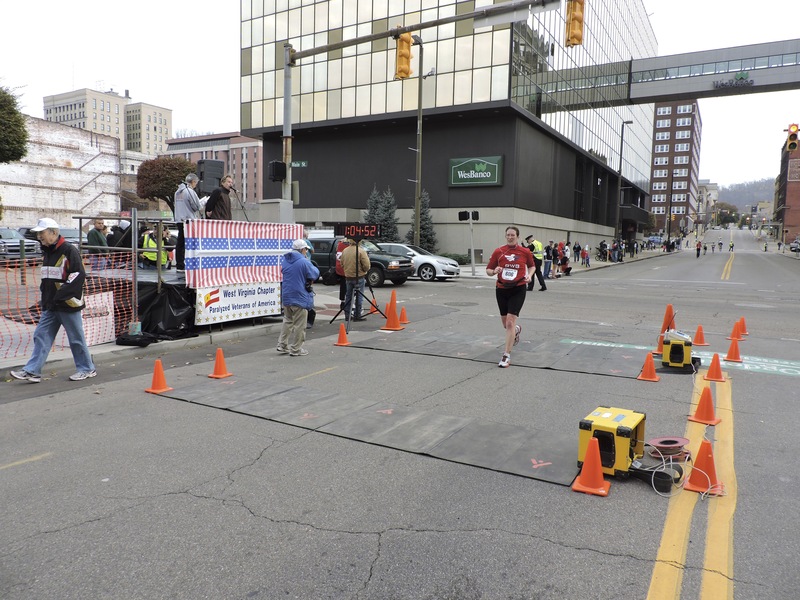 Nov. 2015, I’m crossing the finish line at a local 10k.